According to Cars.com, the "most American car" is the Toyota Camry, Ode to transportation appliances. Nothing says ," I don't care about cars", like driving a Camry. Its interesting it has outpaced the Ford F150 as the "most American" vehicle. It really starts to play towards what some people may consider domestic or import vehicles. While the Toyota headquarters may be in Japan, they still employee a lot of people in the US. Car.com’s study rates each car and truck sold in the United States based on where it’s made, its percentage of U.S. and Canadian content and its annual sales results. Vehicles that are being discontinued, such as those from the doomed Pontiac brand, are eliminated. 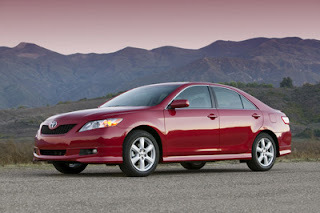 I love Camry...its really too good...Enjoy the journey..